Summer Edition is back for 2010! 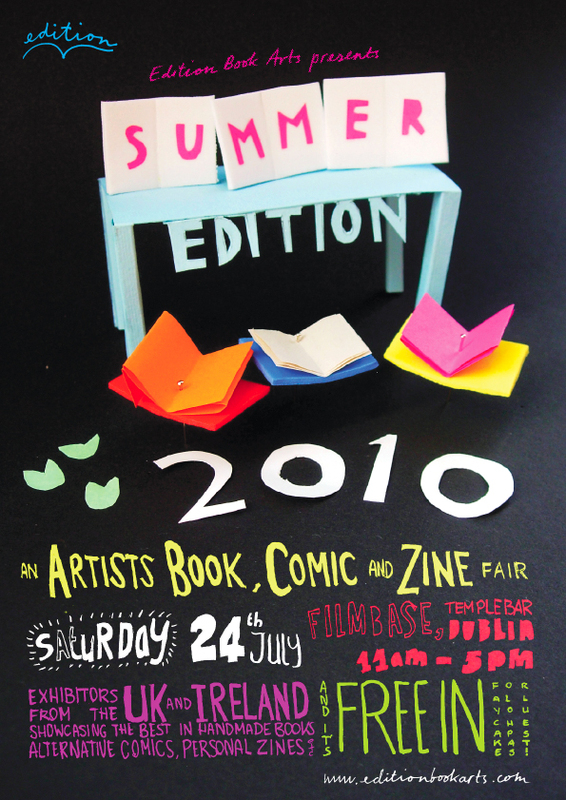 The Artists book, Comic and Zine fair is happening again at Filmbase, Curved Street, Temple Bar on Saturday July 24th from 11am – 5pm. This free event features over 40 exhibitors from Ireland and the UK showcasing the best in independent and self-publishing. All the exhibitors create, design and produce their publications themselves and the fair is a unique chance to see the diversity and originality of book arts happening in Ireland today.